Global Remote Services entered, in 2015, the ELITE Europe, a 2 years programme designed and managed by the London Stock Exchange to foster innovation, enhance growth and develop job creation opportunities for the most exciting European SMEs. On April 28, GRS received, during the market opening ceremony at 07:45 am, at the LSE building, Paternoster Square, London, its ELITE certification thus became a full member of this select international community of very promising European companies. “ELITE has been an exciting and challenging process so far, for us, from a professional point of view. 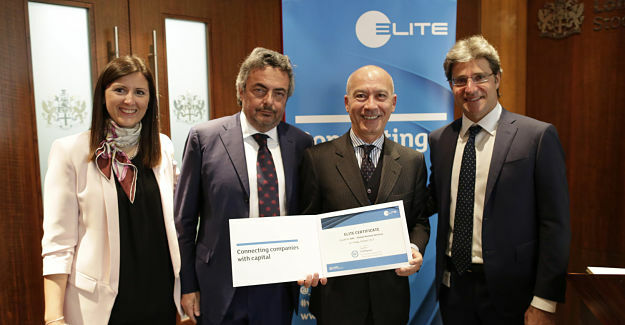 Being part of the ELITE community enables GRS with a valuable exposure to the international financial community, to the amazing peer enterprises, entrepreneurs both in terms of business connections and because it provides a tremendous opportunity for exchanging ideas.” said Paolo Marcattilj, Co-Founder, Administrator, and UK Director of Global Remote Services.